At Parlee Farms, we specialize in sweet, tender corn picked at just the right moment. 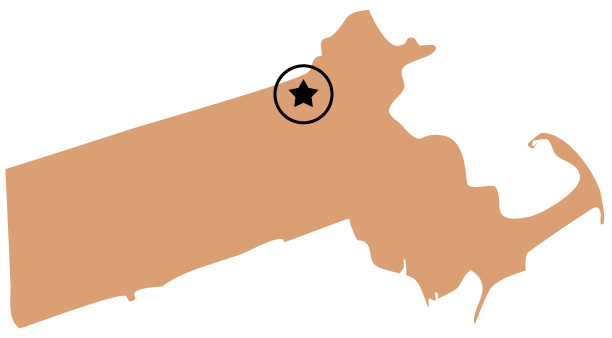 We grow more than 10 varieties of Sugar Enhanced, Butter and Sugar Corn on over 10 acres of land in Tyngsboro, near Lowell MA. All our corn is non-GMO. The corn varieties we grown are very sweet and tender with small yellow and white kernels. It only takes 4-5 minutes in boiling water to have this fabulous corn ready to eat. 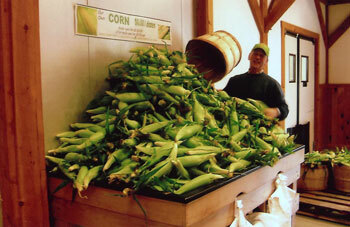 We pick our corn fresh every morning and have it piled high on the stand for you to enjoy that day. Our own fresh picked corn is usually available from mid-July to mid-October. Availability is posted daily at TODAY’S FARM NEWS. A very popular item at Parlee Farms is our own ROASTED CORN!! After 27 minutes in the roaster, the husk is a little scorched but the corn is tender and clean – just perfect! 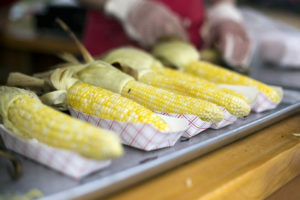 Roasted Corn is available on fall weekends, weather permitting, until mid-October.